This weekend marks the 2017 season finale for Raceway Park motocross. 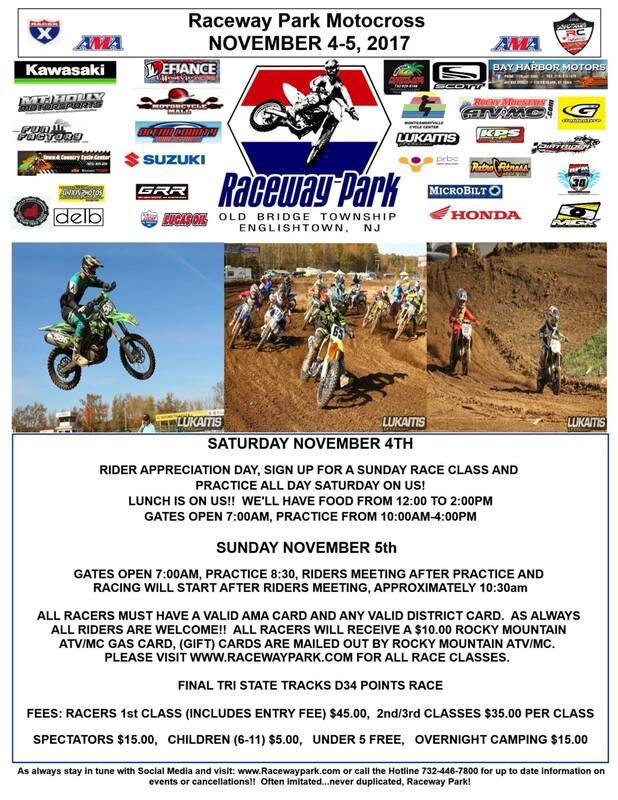 See the event flyer for complete information about Saturday’s rider appreciation and Sunday’s racing action. Track points series winners from both the Youth MX and Quad and regular Sunday series will be able to get their #1 plates this weekend. Sunday is also the final Tri-State track D34 points race for 2017.